Our mouths are designed in such a way that when the upper and lower teeth come together correctly, the teeth can function efficiently for several decades. But when atypical alignments such as crossbites or misaligned teeth aren’t corrected in a reasonable time frame, the parafunction can cause teeth to crack and wear down incorrectly. The sooner a person has access to orthodontic therapy to adjust their tooth alignment, the healthier their smile can be. It’s particularly essential to screen young children for jaw misalignment and habits that need to be broken, such as thumb sucking. If required, we create a particular appliance that helps. 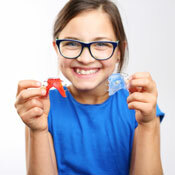 Because tooth and jaw development is easiest to correct at a younger age, orthodontic intervention during childhood is one of the most effective ways to address atypical bite concerns. If treatment is recommended, we offer start-to-finish traditional braces right here in our office. 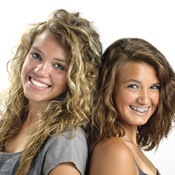 Teenagers can have the option of choosing between traditional, ceramic or clear braces. Before starting treatment, teens should be able to maintain good home hygiene and be responsible enough to keep up with the compliance necessary to clean around their appliances and follow appropriate restrictions related to wearing fixed or removable orthodontics. Many people elect to get braces as adults because they didn’t have an opportunity earlier on, or if they’ve experienced a relapse in tooth positioning over the years. While orthodontic treatment can take a bit longer in adults because their mouths are no longer growing, they continue to make good candidates for treatment because of their commitment to ensuring a positive outcome from their investment. Wearing Invisalign aligners provides flexibility for both adults and teens who want to enjoy a comfortable and convenient alternative to fixed metal orthodontic appliances. If you have a missing tooth, we can even arrange for your aligner to be made in a way that makes it look as if the tooth is still there. 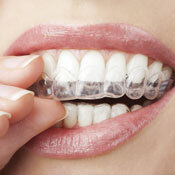 Each set of Invisalign trays should be worn for a minimum of 22 hours per day. In some cases, breathing concerns such as snoring or airway blockage may be due to the anatomy and position of the jaw. If so, we will make appropriate referrals to an ENT or another specialist to determine if orthodontic intervention will benefit the overall health of our patient. 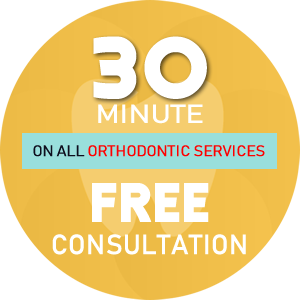 Discover if you or your child qualify for braces and which type of orthodontic system is right for your family. We’re open seven days a week and offer free consultations to all prospective orthodontic patients!